We are a family run business that supplies high-quality firewood from our privately owned forest in the heart of Scotland. We pride ourselves in our quality customer service and in the quality of our products. Our logs are naturally seasoned for over 24 months before being processed and cut into sizes that are ideal for stoves and open fires alike. Order online today and we deliver right to your door in Edinburgh. What Makes a Quality Firewood? The heat output and efficiency of any wood burning stove is reliant on using quality firewood. Both softwood and hardwood create the same energy output, however, they burn differently due to the density of the wood. Softwood logs burn intensely and won’t last as long as hardwood. Hardwood logs burn for longer making them ideal for winter nights. However, the quality of the log is dependent on it having a low moisture content. The drier the wood is, the better it’s going to burn. A quality firewood supplier will ensure the wood is thoroughly seasoned before selling it, and it won’t be sold by the weight. 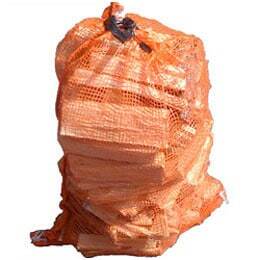 All firewood supplied by Scotchlogs is guaranteed to have a moisture content below 20%. Inefficient firewood not to use on wood burning stoves are those with shades of green on the bark, as that’s indicative of a high moisture content. The simplest way to identify a quality firewood log is to use a wood moisture meter. If the moisture content is above 20%, it won’t burn as effectively. The drier the firewood, the better the fire it creates and the more efficiently it will burn, leading to lower heating costs. What happens when there’s too much moisture in the log is the fire will be drying the wood, creating an elevated amount of smoke and not producing as much heat as it would if it was properly seasoned. In addition, burning wet wood can cause damage to the flue and it’ll create a higher amount of tar. Also, the better seasoned the firewood is, the lighter it becomes making the logs easier to handle. 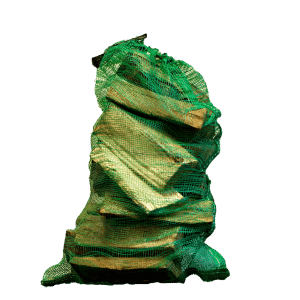 Quality firewood that’s thoroughly seasoned burns cleaner, produces more heat and because there’s less wood required to produce the same heat output, running costs are minimised. 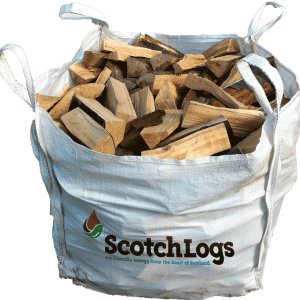 How are Scotch Logs firewood seasoned? It’s all about the storage of firewood logs once they’re cut. Once a tree is cut, there is up to 70% moisture contained in each log. The smaller the logs are cut, the better, but each log still requires at least a year of seasoning in the right conditions to dry the firewood. Each piece of wood is sawn down to log size, then the logs are split and then stored under cover, while still allowing air to circulate from the side. You can tell a firewood is seasoned by looking at the end of it. It should be dark in colour and cracked to allow air to flow through the wood. While a year can be sufficient for seasoning firewood, there are some hardwood types that are so dense they need far longer aeration time to properly dry the wood out. Firewood suppliers may state that they only sell firewood with a minimum of 12-month down time. This only refers to the time the wood’s been left stored from when the tree was cut down. It doesn’t mean it’s seasoned firewood. It’s possible to buy firewood with one-year or longer down-time that has a high moisture content because of inadequate seasoning of the firewood. Softwood Vs Hardwood. Which is better? There’s no difference to the energy content from each type of wood. What there are is differences to the drying time. The denser the wood is the longer it will take to dry. To understand the best type of wood for your wood burning stove, consider how you will be storing the logs. The denser the wood is, the longer it will take to dry, therefore if there is a risk that where you intend to store the logs could increase the moisture content, you’d be best to use a softwood. Softwood logs can burn intensely but the drying time is quicker, leading to a higher quantity of the firewood being required to provide the same heat output as hardwood logs. Hardwoods are denser and therefore take longer to dry. For those with ideal storage conditions to maintain dry logs, without moisture seeping into them, hardwoods will last longer as they have a longer burn time. Hardwood logs are best for the winter months due to the longer burn time. 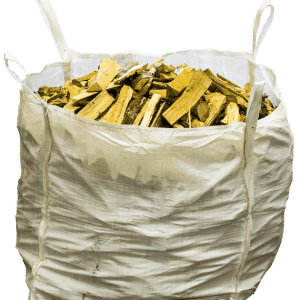 Mixed wood bags of offcut woods can contain both hardwood and softwood, which can help keep running costs down by combining the intensity of softwoods to get the fire going, with the hardwoods there to keep it burning for longer. A log store would ideally keep the firewood off the ground to allow for air circulation all around, rather than placing the logs on the floor, which would restrict air flow. Wooden pallets are ideal for keeping firewood raised above ground level. There’s a knack to a stack too. When stacking firewood logs, the objective is to stack them in a manner that allows for maximum air circulation for each log in the stack. An ideal way to do this is to lay each layer of logs in the opposite direction from the one below, so there’s plenty of gaps throughout the stack. Lastly, leave at least 5 to 10 cm between where your logs are stored and any walls, whether that’s a garage wall or the wall of your home. If logs are stacked against a wall, airflow is restricted and can lead to moisture seeping into the logs. 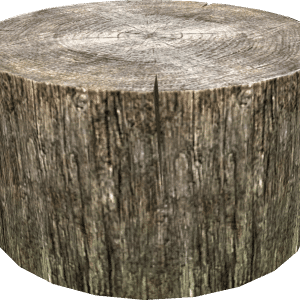 More importantly is that firewood logs can attract many an insect including wood boring beetles and termites so the further away from your home you can store your logs, the better protected you’ll be from any potential hazards.